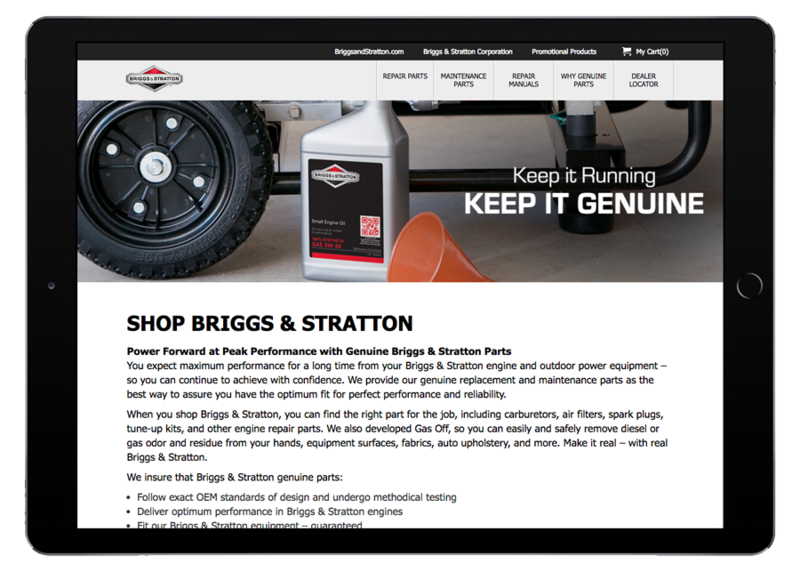 Briggs & Stratton’s goals of increasing parts and maintenance products sales online were a driving force behind updates to their shopping experience. 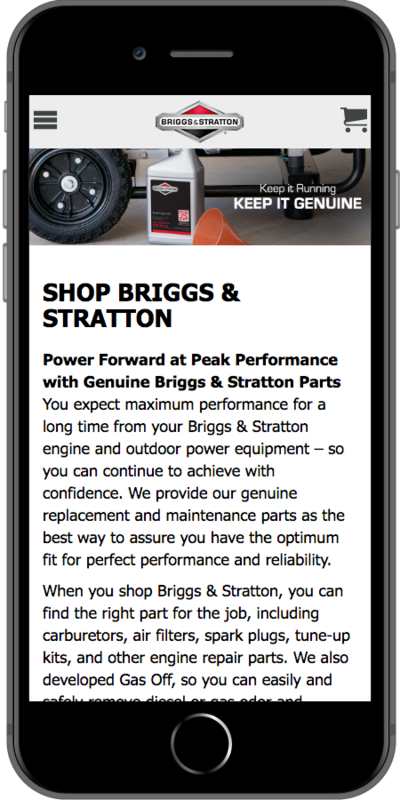 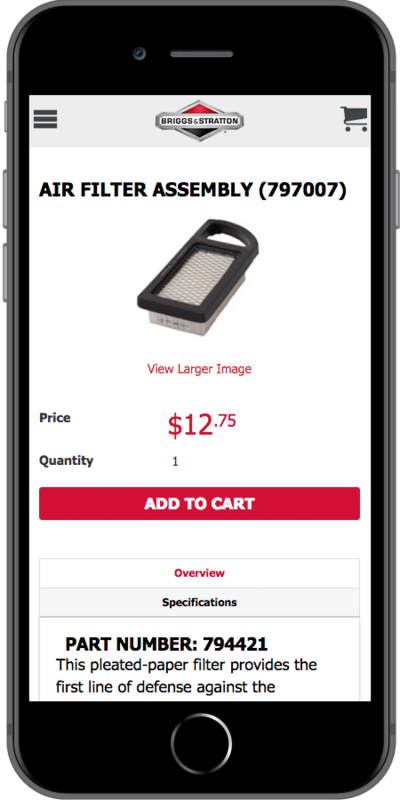 Starkmedia produced the new storefront with Insite Commerce and ARI PartStream, and their product catalog and content management continue to utilize the Sitecore CMS platform. 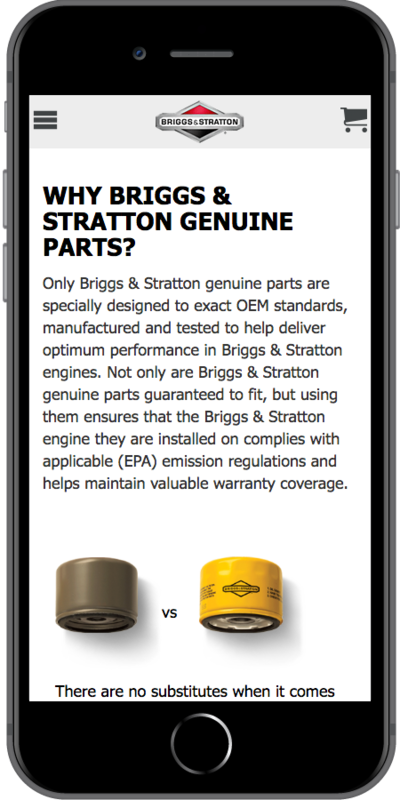 Consumers can now lookup the correct part for their engine by Model-Type-Trim or Part Number. 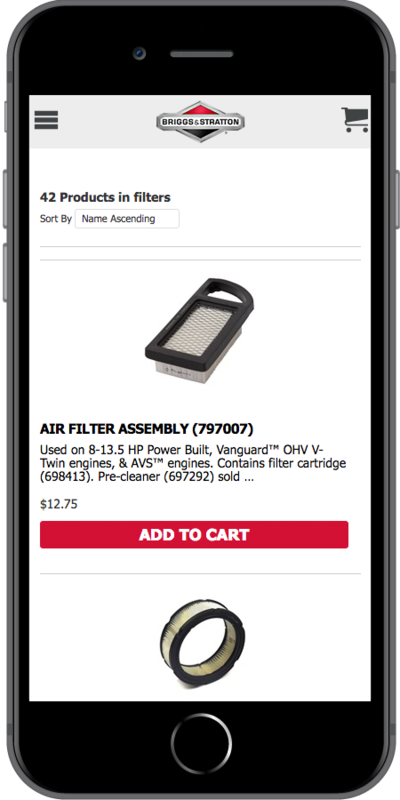 The interactive parts diagrams make finding the correct part easy and their product catalog offers a complete line of maintenance products.